Stock product - detailed vector illustration - Isometric Building Collection - European 03 - created by Aurielaki. Image formats EPS AI JPG. SKU: European-03-Building-Isometric-AurielAki. Category: Isometric Building Icon. 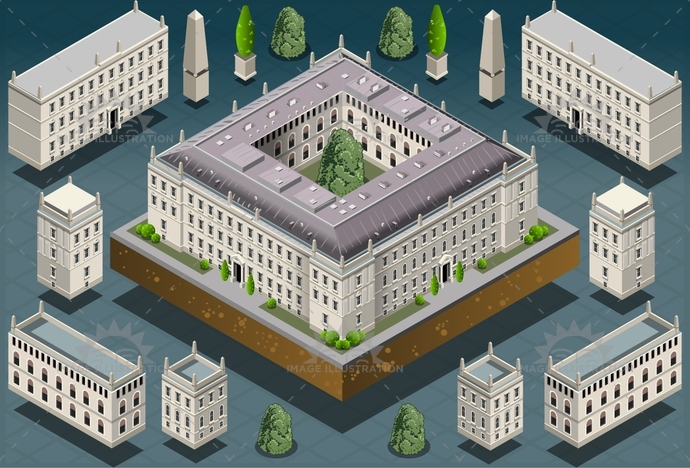 Tags: ancient, architecture, artistic, building, castle, city, culture, europe, european, famous, garden, historic, history, house, illustration, isometric, landmark, medieval, Monument, old, palace, park, residence, royal, tower, travel, university, vector, versailles.